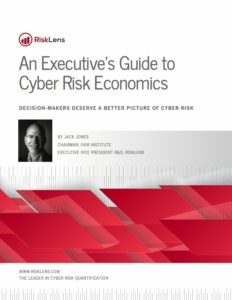 Download this valuable resource, a free eBook titled An Executive’s Guide to Cyber Risk Economics, written by Jack Jones, creator of the Factor Analysis of Information Risk (FAIR) model. Fill out the form to download the eBook now! 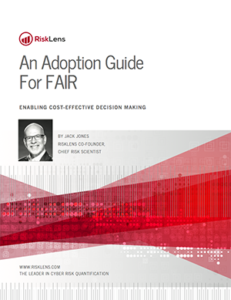 Read the eBook that’s changing how corporate leaders understand and manage cyber risk.